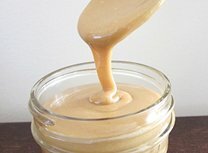 Sweetened condensed milk (SCM) is sugar-added milk, with water removed, forming a thick and rich consistency, ideal for desserts. Al-Ghani Pty Ltd is a family owned business, with a keen focus on exceptional customer service and premium quality supply chain through exports and imports. Read more..